The house is located in a remote village on the slopes of the Taygetus mountain where one may find fresh air and pure spring water. Two local taverns ony in the village and no minimarket mean that one has to organise well his stay. The house is well furnished and practical. 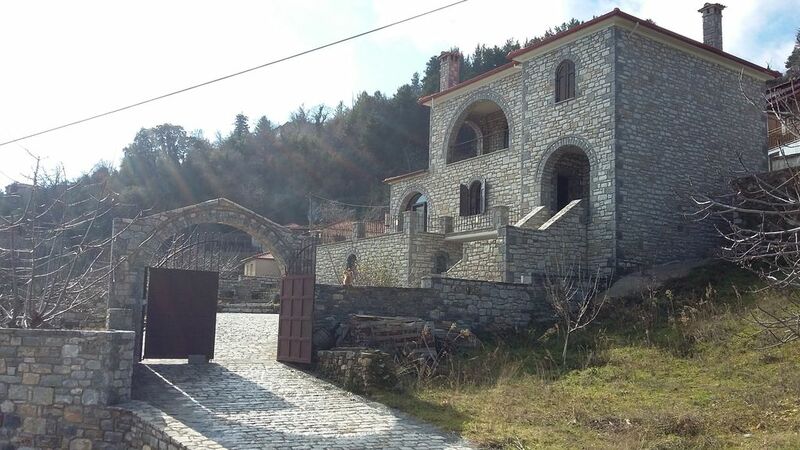 Its location is perfect to visit Mystra and Sparta, and for those who enjoy walk in the forests and in the mountain. Ein schönes griechisches Steinhaus, über eine abenteurliche Bergstrasse zu erreichen. Kaffeehaus und Taverne im Ort!